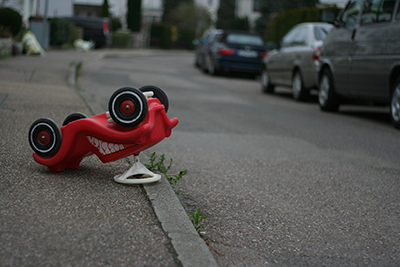 Car accidents are an unfortunate reality of driving. According to the National Highway Traffic Safety Administration, more than six million police-reported crashes occur every year, so chances are good that the average driver will be involved in an automobile accident sometime in their life. In any stressful situation, anxiety is a common and natural response, and many drivers will experience symptoms of anxiety after involvement in an automobile accident. For some, however, the anxiety may last longer and could manifest as anxiety disorders like post-traumatic stress disorder (PTSD). Symptoms don't always immediately arise; it may take a few months for them to surface. Some time after a car accident, you might suffer from insomnia, have nightmares or flashbacks about the event, feel ill, have trouble concentrating, or exercise hypervigilance while driving or traveling in vehicles. If these disturbances occur for more than one month, it is possible that you have developed an anxiety disorder. In these cases, it is imperative that you pursue treatment and/or outside help. 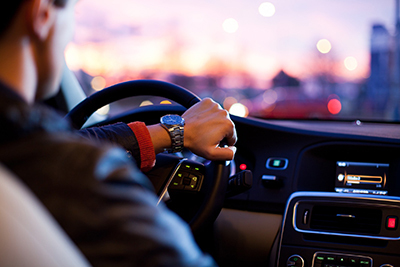 Psychotherapy, hypnotherapy, defensive driving courses, self-care, and medication are some of the common tools used to restore comfort in drivers following automobile accidents. Also known as talk therapy, psychotherapy uses psychological rather than medical means to treat a mental disorder. In psychotherapy, you interact with a therapist in 30- to 50-minute sessions to address both immediate and complex issues. The specific strategies applied will depend on your individual case. In one type of therapy, called stress inoculation training (SIT), a therapist explains to you the nature of PTSD and helps you develop coping skills to manage anxiety. Techniques include deep breathing, thought-stopping, positive self-talk, and cognitive restructuring. Another psychotherapy strategy is eye movement desensitization and reprocessing (EMDR). EMDR has two main parts: First, it determines which memory to target through patient recollection. Second, it aims to shift the way the brain processes the memory to channel more beneficial emotions. A third psychotherapy intervention that can improve mental comfort after an automobile accident is the emotional freedom technique (EFT). This treatment works from the belief that negative emotions result from bodily energy disruptions. A therapist guides you in expressing acknowledgment of the problem, identifying the fear associated with it, and tapping with the fingertips on energy points around the face to release emotional blockages. As the name suggests, hypnotherapy uses hypnosis to help you overcome a mental or physical problem by connecting the conscious with the subconscious, bringing you to an enhanced state of awareness that makes you more aware of the reasons behind your behavior. In a way, hypnotherapy treats the cause and not the symptoms by searching for experiences stored in the subconscious that explain the immediate issue. For example, in one case study, a man who felt helpless after an automobile accident discovered through hypnotherapy the relation between that emotion and a childhood experience, and he realized that he had to deal with that memory to address his driving anxiety. To regain confidence and comfort while driving, you might consider enrolling in a defensive-driving course. These courses teach you how to recognize hazardous driving, prevent accidents, and react during real-life driving situations. They may also help you lower your auto insurance rates or remove driving penalties from your record. After any trauma, self-care is essential. This includes daily exercise, healthy eating, sufficient sleep, substance avoidance, and acknowledgment of the positive things about life. If you sustained injuries after the car accident, gentle exercises like restorative yoga could help relax your mind and body. Some anxiety disorders require medication to manage the symptoms. To treat anxiety, doctors usually prescribe medication from one or more of four classes: selective serotonin reuptake inhibitors (SSRIs), serotonin-norepinephrine reuptake inhibitors (SNRIs), benzodiazepines, and tricyclic antidepressants. SSRIs and SNRIs improve mood by inhibiting the reabsorption of the "feel-good hormone" serotonin and norepinephrine, which regulates the body's fight-or-flight response. Benzodiazepines work in the short term as tranquilizers to ease muscular tension. Tricyclic antidepressants serve the same function as SSRIs and SNRIs, with the additional effect of blocking acetylcholine, a neurotransmitter of the central nervous system. Note that there are side effects associated with all medications, and you should work closely with your primary care physician in planning the treatment that would best benefit you should you choose this course of action. The Internet is always a valuable source of information, and it can also help you to better understand your situation and overcome your fear if you're experiencing anxiety after a traumatic event like a car accident. Resources are available to help you calm down, and you can also find a therapist to help you work through your trauma.